Ok, so somebody had to do the job of visiting and experiencing Kapama’s new luxury 5 star lodge, I was glad it was me! 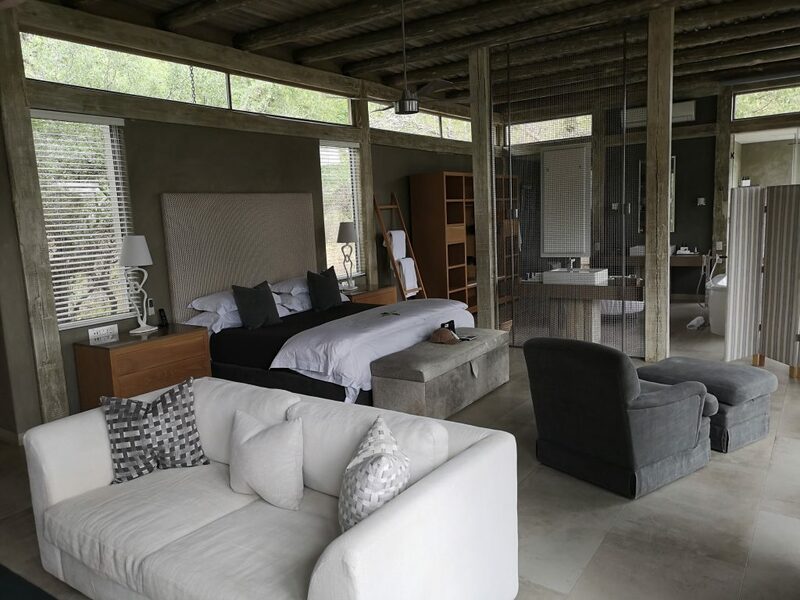 Kapama Karula has positioned itself as a lodge that could compete with the likes of the high-end 5* Sabi Sand product. Effortless elegance is probably the best way to describe the design. The Villas are spectacular, they are massive. They feature wrap around glass doors, so you can enjoy the bush vista beyond, as well as the abundant sunlight. The ‘inside-out’ style does give you the ‘contact’ with the surrounding bush. Each Villa is equipped with a heated rim-flow pool. The villa suites are such that the main lodge area is really only frequented around the game activities or meal times. The balance of the time is spent enjoying the Villas – or spending some time in the spa. The decor is a mixture of wood, textures, white/beige/browns – making sure the bush delivers the colour whilst the interior remains subtle. 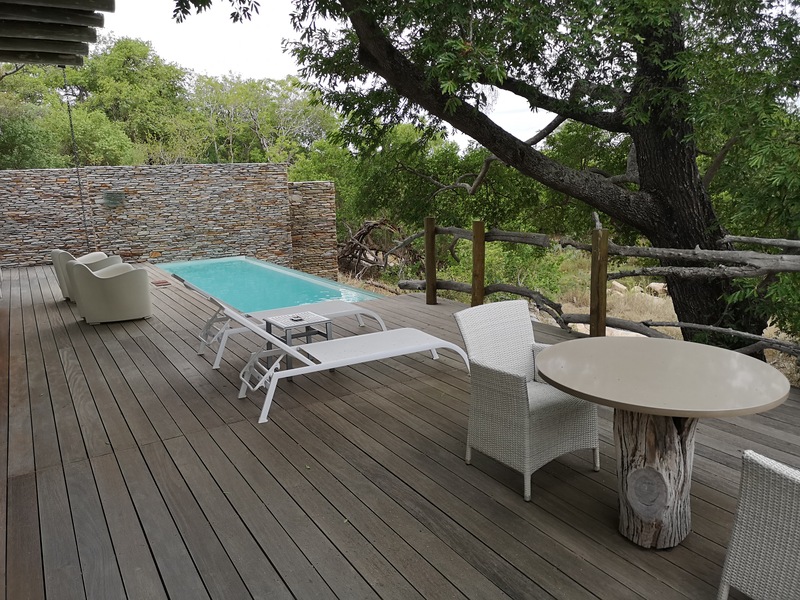 Each Villa comes with: outdoor shower, deep bath for long soaks after game drives (or a romantic candlelit bath), Nespresso coffee machines, full mini-bar which includes snacks (all included in the rate); laptop safe, universal and USB wall chargers next to the bed, WiFi, Ipod docking station etc. The decks of each villa are the full width of the villa itself – so one is never shy of space. The set up of the rooms are ‘open plan’ – so is something to consider if one is not travelling with a loved one. They do offer freestanding room dividers, but this lodge is definitely more for your couples or honeymooners. Not for two golf buddies! Each unit is spaced approximately 50 metres from the next – so if you’re allocated the last villa, it could be a long walk to the main lodge area. Keep this in mind and request rooms closer to reception if you have elderly passengers or anyone with walking difficulties. The lodge is fenced so it’s safe to walk to and from your rooms at night. This fencing aspect is important as they do have 2 Bedroom Family Villas, so this will definitely provide peace of mind. 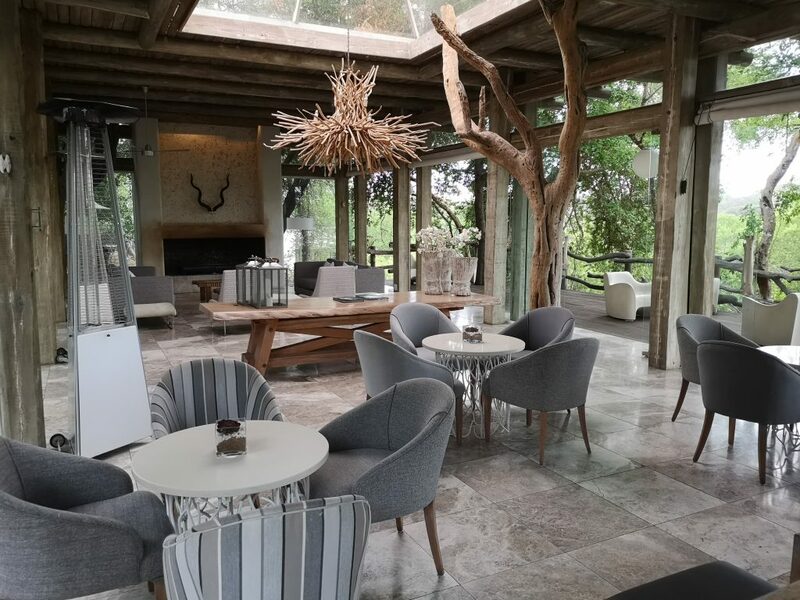 The main lodge area consists of a large pool (although I preferred to hang out in the amazing pool in my villa), bar/lounge, which overlooks the Klaserie river, library (selection of books), curio shop and the dining area where all meals are served. Kapama can accommodate Kosher meals, so for our Jewish clientele this is something to keep in mind! In terms of rating, this product is definitely up there! I’d say this lodge sits between Lion Sands River and Lion Sands Ivory Lodge. 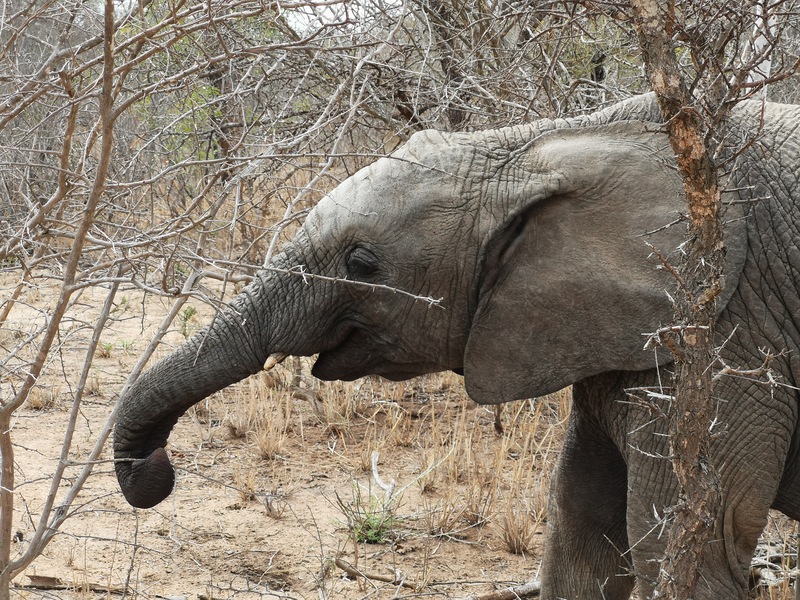 It’s definitely trying to play up near Ivory. One good selling point is the fact that their rates are much cheaper, so you get the luxury of the top end 5* Sabi product, for a fraction of the cost. Another unique selling point is that Kapama has its own tarred airstrip. It has a dedicated private charter (Pilatus) which can be booked for VIP clients. The airstrip is set up for night landing (fully lit up) and is also fenced. 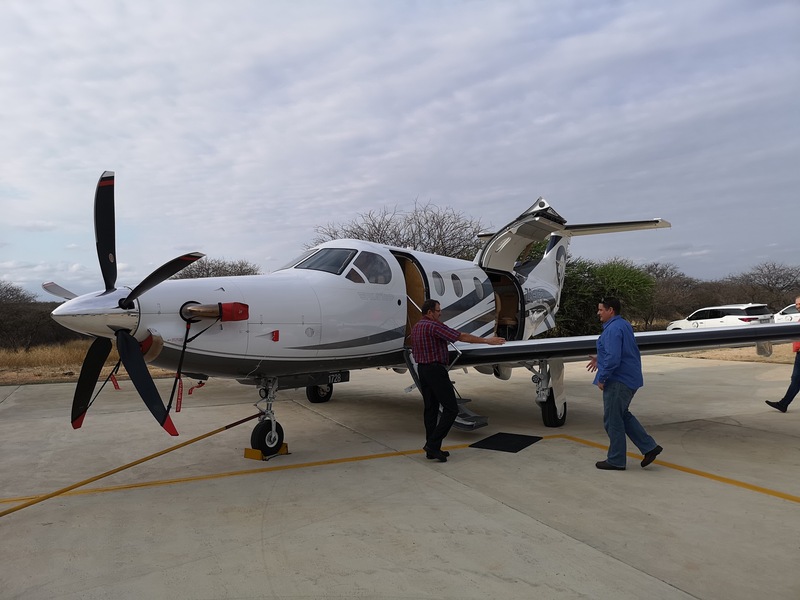 This means if we have clients arriving late afternoon or early evening, they can avoid a wasted nights# stopover in Johannesburg/Cape Town and connect them straight to the reserve. Johannesburg is only a 50min hop, and Cape Town a 2hr 45 minute flight. Approximate costs are around R50k from JNB and R80k from CPT. Bear in mind however, that if you have a family of 4-6, divide that accordingly and it becomes very cost effective. Not to mention allowing complete flexibility! 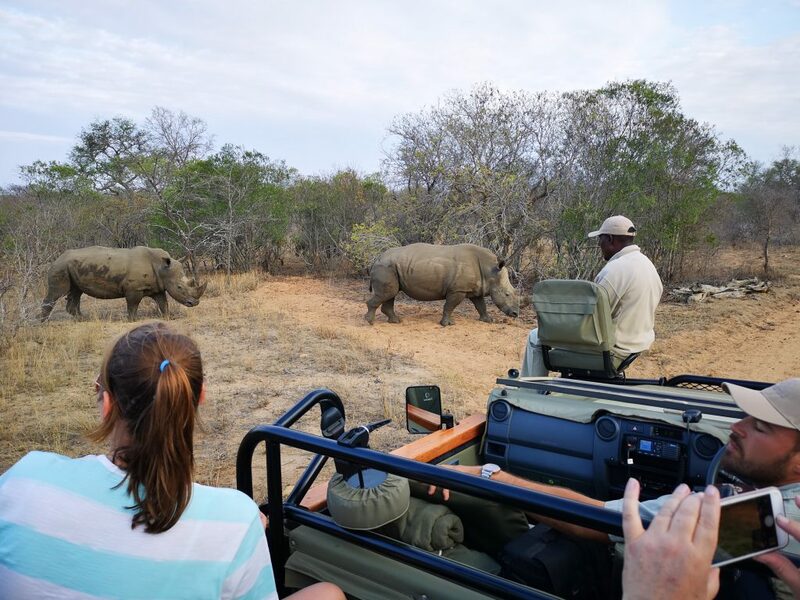 The game rangers were found to be very engaging (sense of humour whilst being serious about the experience and game viewing). Game viewing (for the 1 night we were there) was good, we were lucky enough to see: rhino, elephant, giraffe, buffalo, lion, abundant antelope and birds. Kapama is approx. 13,000 hectares. As reference Shamwari on the Eastern Cape is 25,000 hectares. What’s worth noting is that although it’s a privately fenced reserve – they only allow two vehicles at a sighting at any time. Off-roading (something we always enquire about ) can only be done should they be chasing a Leopard, and this is only allowed if it’s on vegetation that is not under threat. Their ecologist provides clearly designated no-go areas for their vehicles. The only other time they are allowed to go off-road is if there is a lion kill. All other off-roading remains off limit, and they have to remain on the existing reserve roads. It’s also worth noting that the reserve does offer a Luxury (romantic) sleep-out. This is done by virtue of a private platform high above the ground. 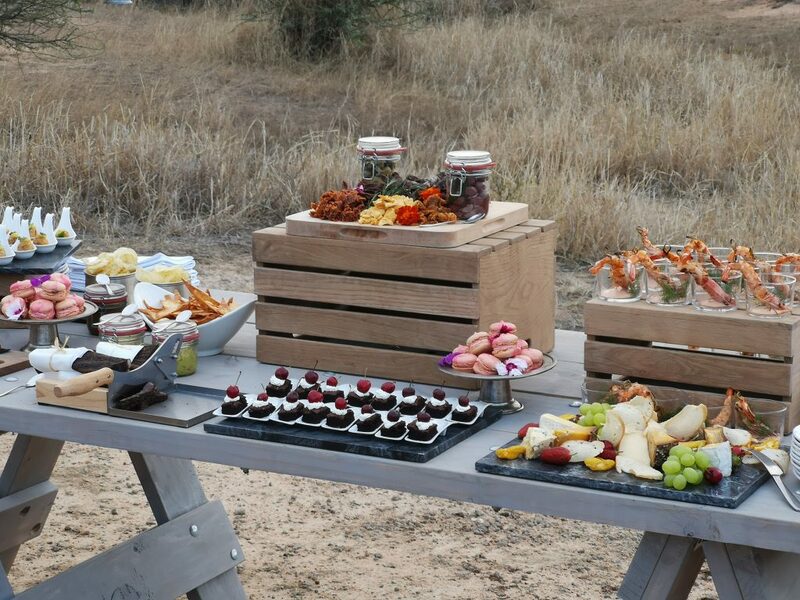 You can enjoy dinner in the air, prepared by your private chef. It has a luxury bathroom underneath – and is animal-proof, but both a two-way radio and cellular phone are supplied for additional peace of mind. With a flush toilet, shower and his and hers basins, the bathroom has all your comforts catered for. In conclusion – I was impressed with the offering and definitely feel this will be a very popular lodge. It ticks all the boxes, so they’ve definitely positioned themselves well to take a bit of market share. USA clientele would buy into this easily, and we believe Kapama Karula will be signing up to be a Virtuoso property as well. Good job guys, another fantastic addition for those wanting a high-end lodge in the Greater Kruger!